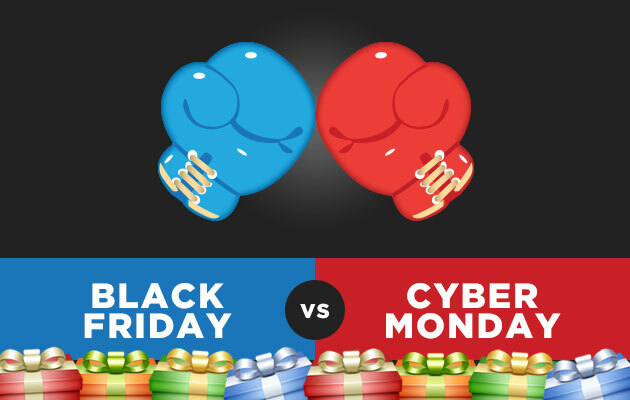 Both Black Friday and Cyber Monday 2014 hit new records in Britain this year, with online shoppers spending more than ever in order to take advantage of limited discounts and offers. Cyber Monday did not perform quite as well as Black Friday. Online UK retailers saw 161 million online visits which was only a 22% increase from last year, and a lower total figure of £720m was spent. IBM also found that the average purchase came to £77.88, slightly lower than Black Friday’s. IBM’s research also found that on both of the days twice as much mobile web traffic came from smartphones compared to tablets, however tablet users spent more than smartphone users. Most of the traffic on Cyber Monday and Black Friday from mobile devices came from iOS devices at 41%, with Android devices providing 16% of the traffic. Amazon was one of the clear winners on Black Friday, reporting 5.5 million sales in just one day and announcing its busiest day ever at that point. Its website traffic was up by 83% compared to last year – an increase of 78m visits. Howvever, some online retailers on Black Friday couldn’t handle the huge demand: Argos, Tesco John Lewis suffered from traffic volumes that took their sites offline. Currys customers had to wait 1 hour in an online queue to buy products from the site.